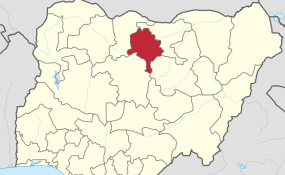 The Sokoto State Chapter of All Progressives Congress (APC) on Sunday rejected the declaration of Gov. Aminu Tambuwal as winner of the just-concluded governorship election in the state. The Independent National Electoral Commission (INEC) declared Mr Tambuwal winner of the election after Saturday's supplementary with a narrow margin of 342 votes. The Chief Collation/Returning Officer, Fatima Mukhtar, said Mr Tambuwal of Peoples Democratic Party (PDP) secured the highest votes of 512, 002, defeating his close rival Ahmad Aliyu of APC, who polled 511, 660 votes. Addressing a press conference in Sokoto, the APC's spokeman, Bello Danchadi, rejected the declaration on the ground that the process was flawed with irregularities, which he said were duly reported to electoral body. Mr Danchadi said the margin of 342 votes was far less than the registered voters in polling units where elections were not held, a development which he said contravened the electoral law. He said the party had also registered its complaints to INE, which included alleged outright rigging perpetrated by the PDP. He alleged that some eligible voters at some polling centres were denied voting, and in some places repeated votings were recorded. "We draw the attention of INEC to a number of polling units that were canceled as result of violent attacks by thugs, while others were arbitrarily canceled to please certain political party interests. "In view of these we deem it necessary to express our disagreement with the action taken by INEC to declare a winner without giving us a fair hearing in our position in the electoral processes, " he said. The Benue chapter of the APC also rejected the outcome of the governorship election declared on Sunday, in favour of Gov Samuel Ortom of the PDP. The party said in a statement on Sunday in Makurdi that the results did not reflect the wishes of the people. The statement signed by Eugene Aliegba, Secretary Jime/Ode Campaign Organisation, said that APC would challenge the results in court. Mr Ortom polled 434,473 votes to defeat his closest rival, Emmanuel Jime of the APC, who polled 345,155 votes. Governor Samuel Ortom of Benue state. The statement declared that the outcome of the poll was "totally unacceptable to the APC". It, however, thanked those who voted for Mr Jime and Sam Ode, the party's governorship and deputy governorship candidates in the election, and prayed God to reward them for their trust and confidence in the team. "When we embarked on this journey many months ago, it was to translate to reality the dreams of a better future for our suffering people. "We toured the entire state and made our case for wealth creation through agriculture, education reforms, infrastructure development and a welfare package for our senior citizens. "We told our people of our plans for improved capacity and welfare for civil servants, and a health policy that covers all Benue residents. "Our messages resonated with the electorate because they could tell that our projects were about service, not hinged on intent to occupy office for the sake of it. "But, even as the results declared did not appear to reflect the will of most of these same people, we call on our supporters to remain calm and law abiding as they had been throughout the campaigns and electioneering period. "They have our full assurance that as a party that believes in democracy, we will not accept a stolen election," it added. The statement implored the party faithful not to waver in their trust on the party to reclaim is mandate. "Going into this contest, we were well aware of the fact that only one of two outcomes was possible - either we win fairly in line with the massive support we earned from the people, or another winner emerges through a credible and transparent process. "We did not anticipate a third option that confers advantage to those who play dubiously outside the laid down rules of the game," he said. "We will make a case before the Elections Petitions Tribunal to subject the Benue governorship elections result to an integrity test. If we opt otherwise, we will be as guilty as those who undertake acts that undermine democracy. "We have chosen to take action that insulates democracy from practices that threaten it," the statement said.